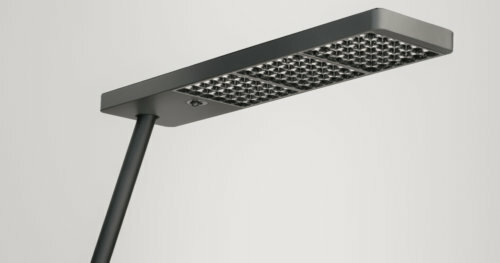 Mit Dezeen haben wir über die Zukunft der Bürobeleuchtung und unsere neuen tischadaptierbaren Leuchten XT-A Single und die XT-A Round gesprochen. Lesen Sie den Artikel in der Originalfassung. 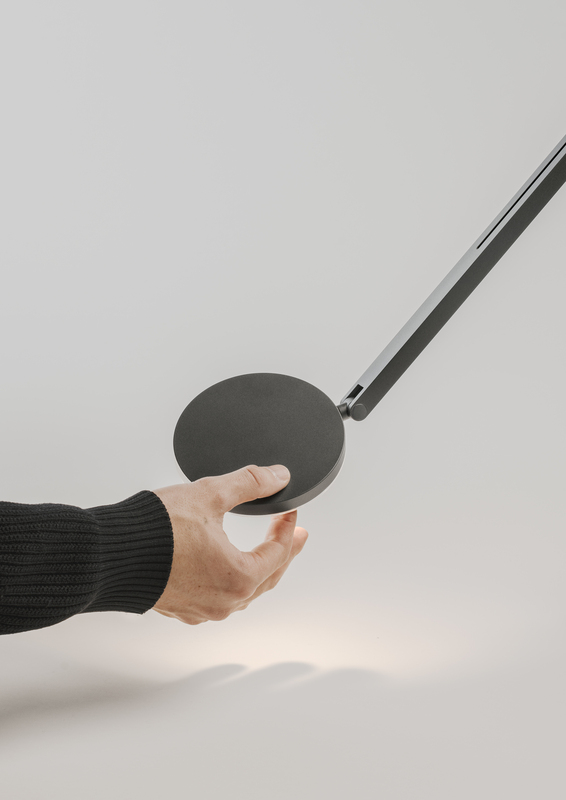 German designer Tobias Grau has launched a series of minimal, glare-free desk lamps, and has made this behind-the-scenes video to coincide with the 20th anniversary of his studio in Hamburg. 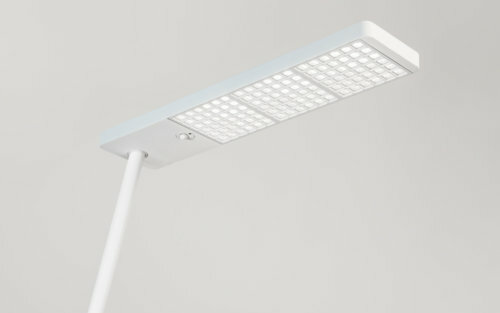 Grau’s lighting brand has added two new lamps to its XT-A series, a range of office lighting designed with a homely aesthetic. With simple stands and slender heads, both the XT-A Single and the XT-A Round follow the brand’s ambition for a “reduction to the essentials”. “Office lighting will no longer be such a cold and anonymous one in the future, as has been the case so far, as work and living will mix with one another,” said Grau. The Single features a long, rectangular head, while the Round boasts a circular head. Both of the shallow, flat heads are fitted with sets of gridded LED lights. “The fact that the LEDs have now become so efficient means that the lamp heads can be smaller, so that they fit proportionately better to the tables,” said the designer. Both versions are designed to be as flexible as possible, able to work with height-adjustable desks, bench workstations and partition walls. It is possible to remove the lamp heads from the bases and fix them to a work surface, allowing lighting levels to stay consistent when a desk is being moved up and down. Tobias Grau’s patented glare-control system supports this. Each light is also equipped with an Internet of Things system called Connect, meaning lighting levels of various lamps can be controlled in unison. 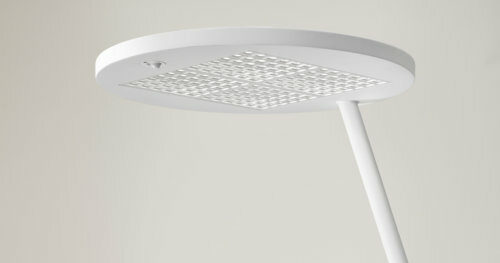 The design firm previously launched a similar version of its XT-A series with its John lamp range. Suited to reading and working, the minimal, moveable and dimmable table light features top glare reduction with LED bulbs. Tobias Grau founded his company headquarters in Rellingen, Hamburg, in 1998. Designed by BRT Architects, but with interiors by Grau himself, the facility houses all of the design and manufacturing for the company. Grau believes that keeping all of the company’s processes under one roof, from sketching to shipping, helps to keep the studio as agile as it was 20 years ago. “My way of working is determined by a strong emotional life, an emotional approach to my designs or how I feel them or how I draw them,” said Grau. “And then again something very rational comes in that says: how does it work technically? How does it work on the market? How could it fit into the collection? Is there enough potential to be new and innovative?” he continued.